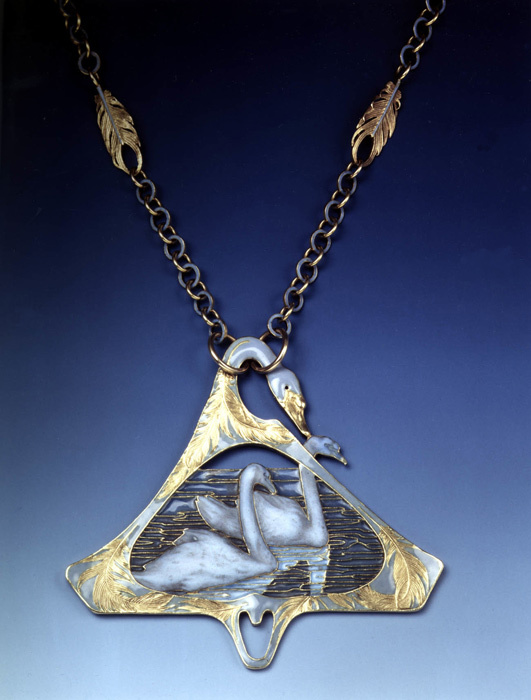 A unique, large pendant in a triangular form cast with three swans – two appearing to glide on still water, their reflections and background formed in plique-a-jour enamel – hanging from the original chain with feather form links intermittently placed on grey enamel and gold circular linked chain. 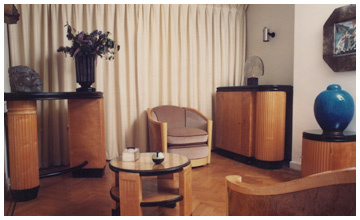 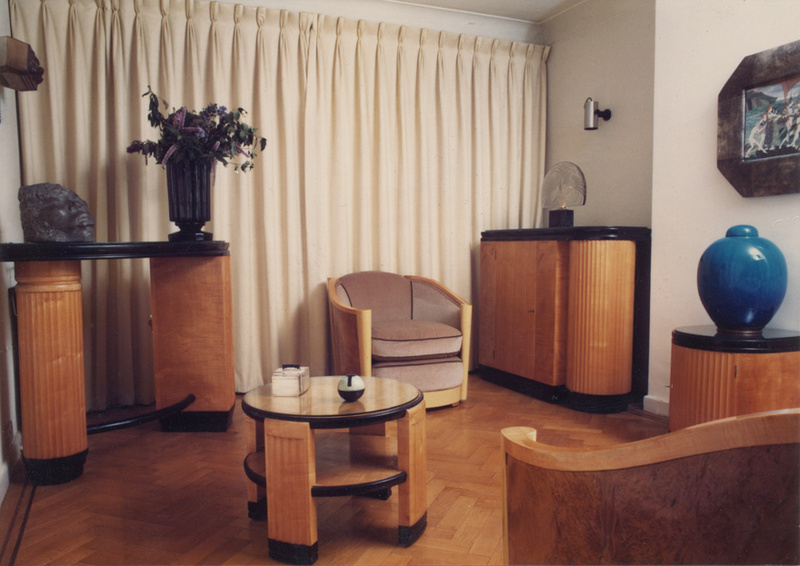 A significant collection of signed Art Deco designer furniture Partially commissioned for a modernist house in London, England. 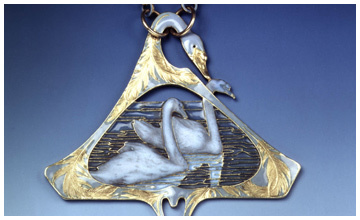 A symbolist jewel of Shakespeare's noblewoman. 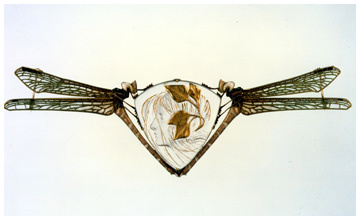 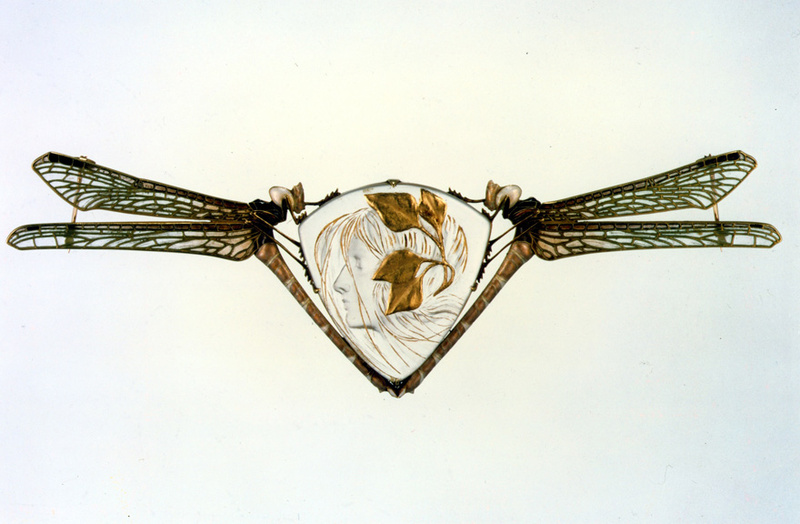 Gold, enamel and glass flanked by hovering dragonflies, her profile in engraved glass with gold applications, with opalescent enamel and plique-a-jour dragonfly wings. 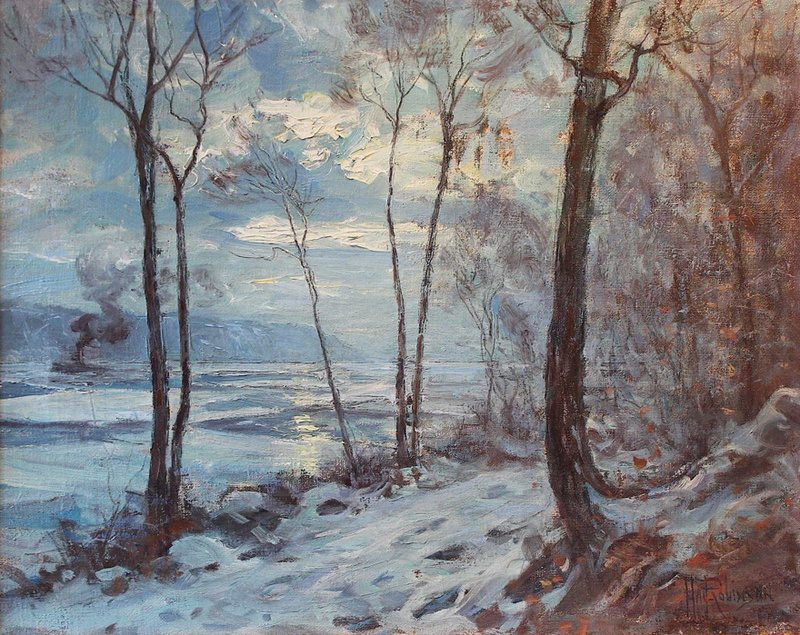 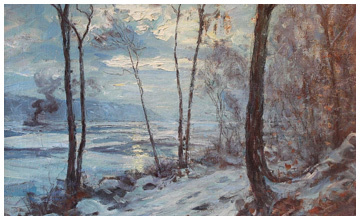 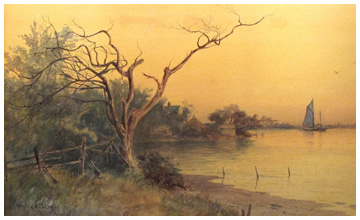 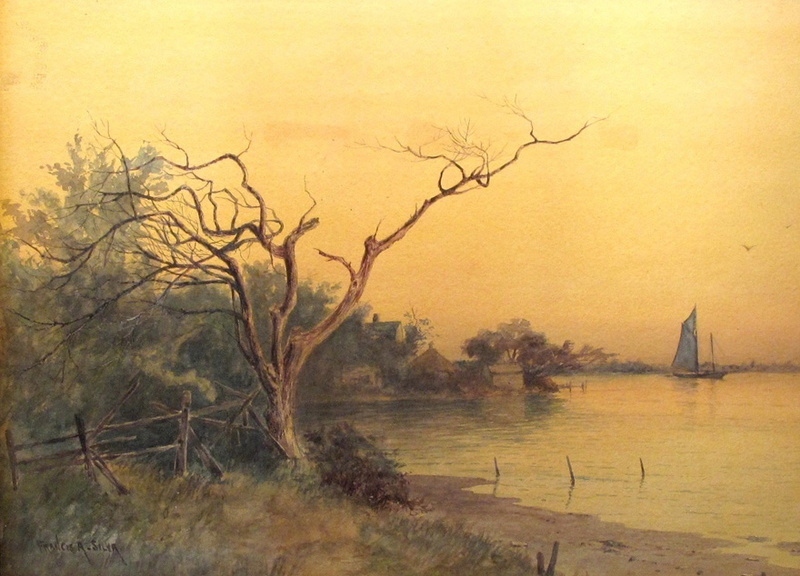 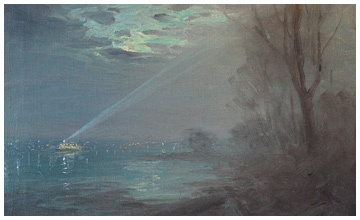 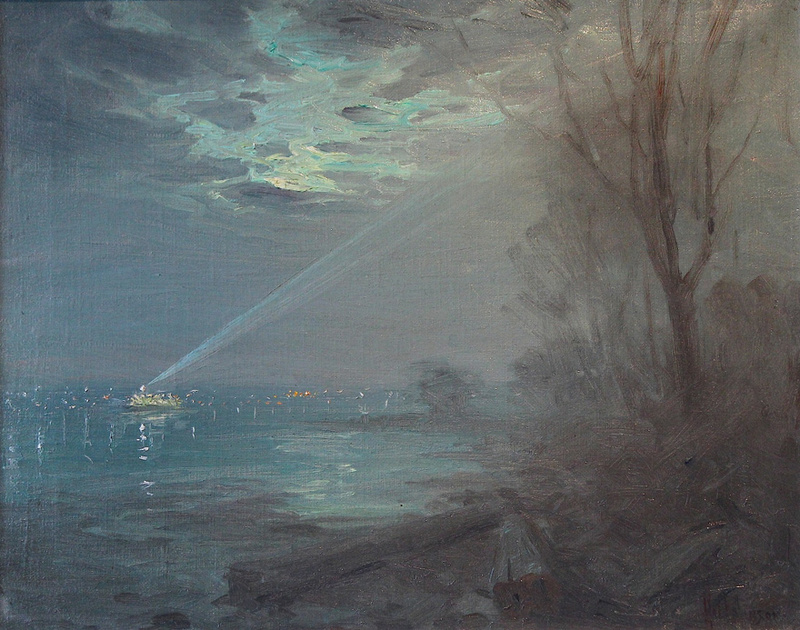 A fine luminist watercolor of the Hudson River. 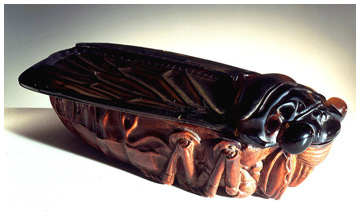 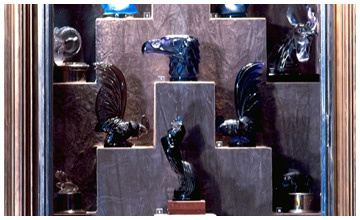 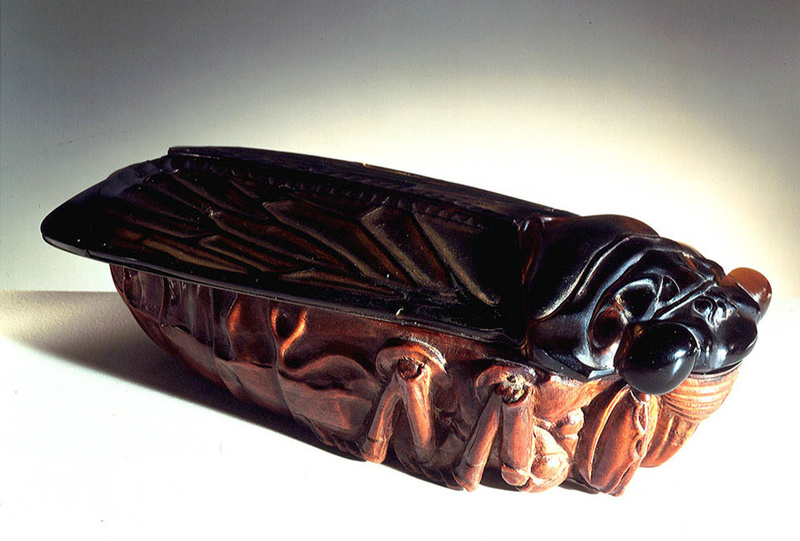 A unique carved wood, horn, metal and moulded glass object in the form of a giant Cicada with articulated wings. 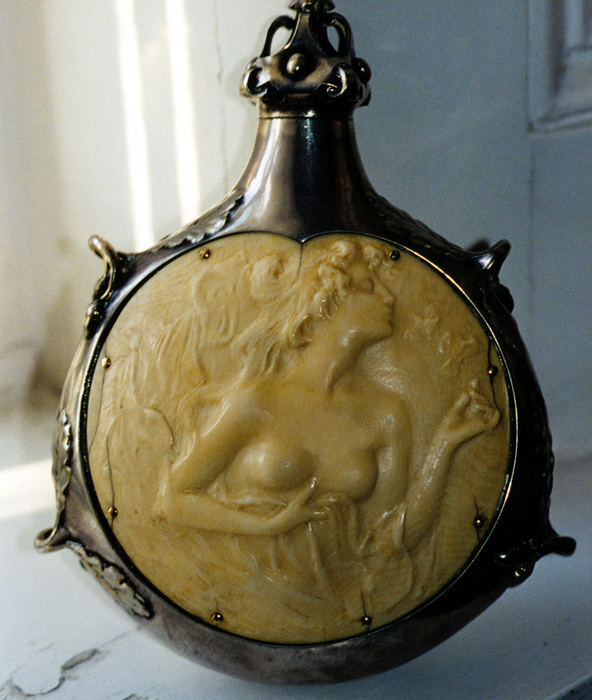 A superb and unique Russian influenced pilgrim's flask In silver, gold and ivory. 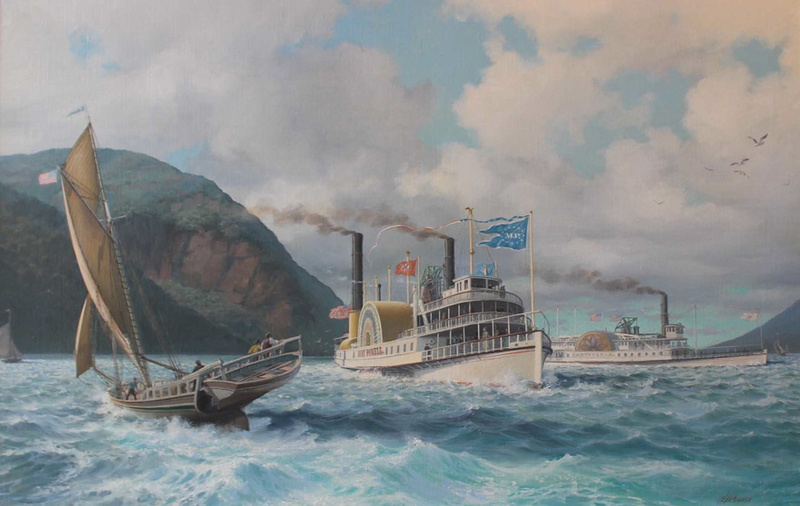 An historically important local painting. 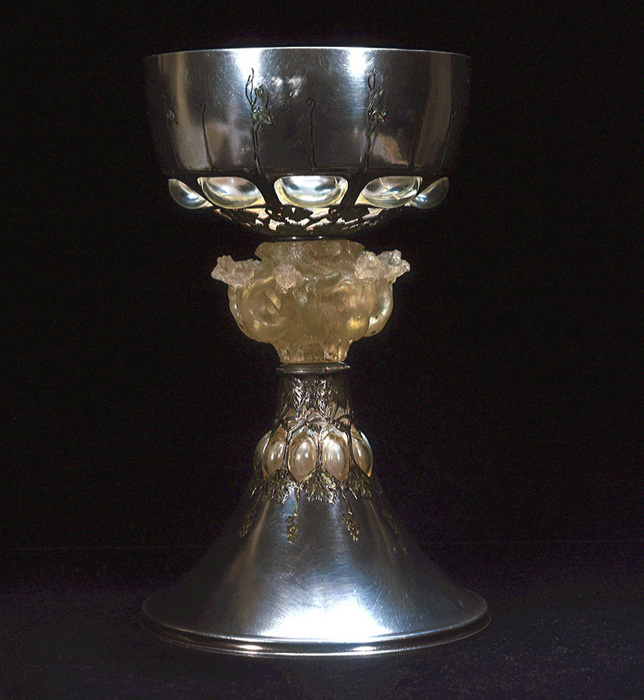 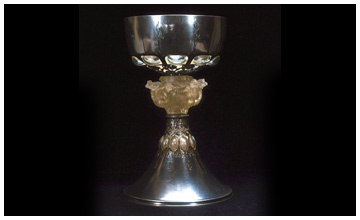 An important unique chalice in silver, enamel, and blown and cire perdue glass. 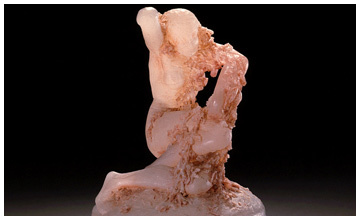 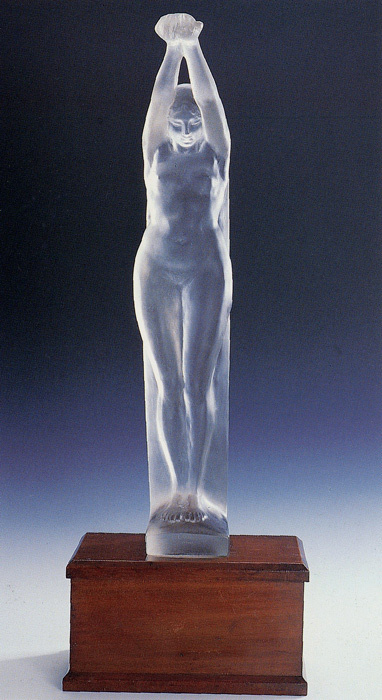 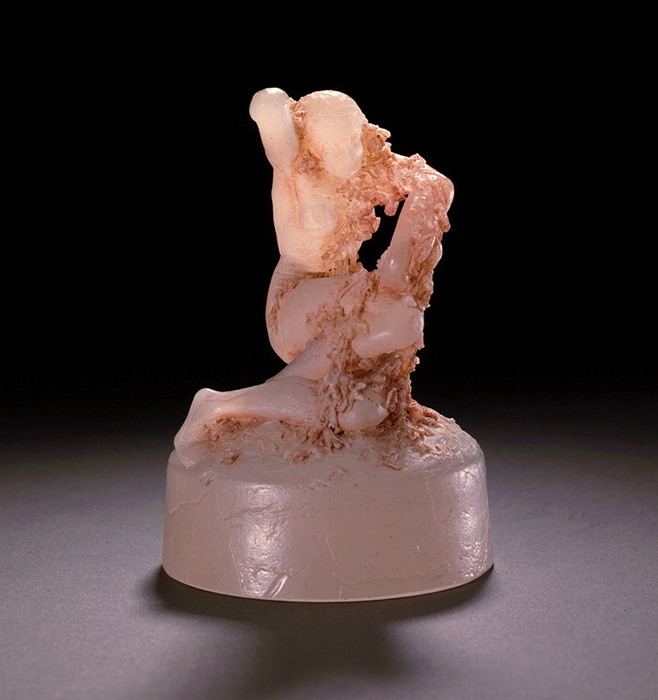 An important cire perdue glass sculpture. 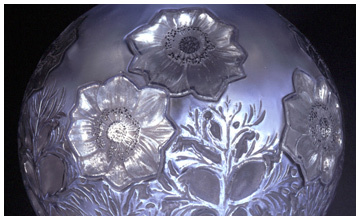 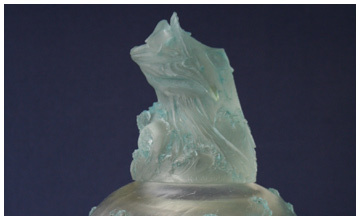 An important and unique glass vase created by the lapidary and relief cutting process ('hochschnit'). 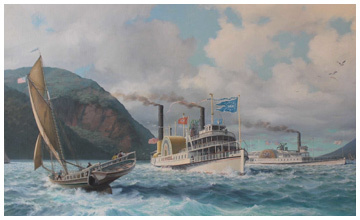 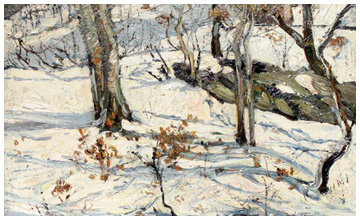 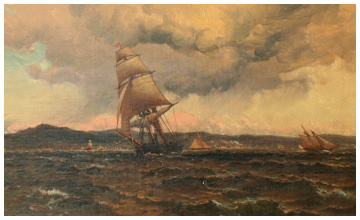 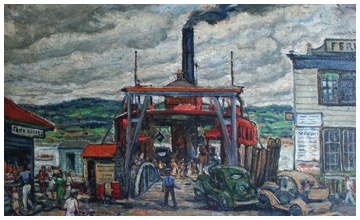 A fine Hudson River painting of local historical interest. 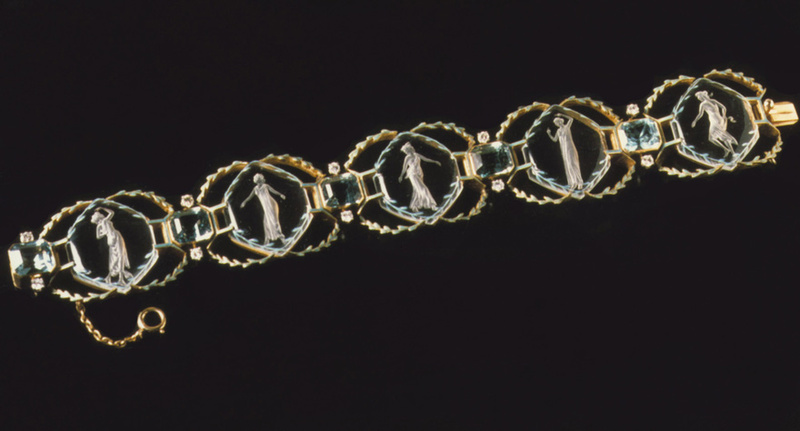 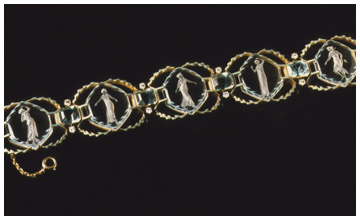 A precious gold, enamel, diamond and aquamarine hand engraved glass bracelet. 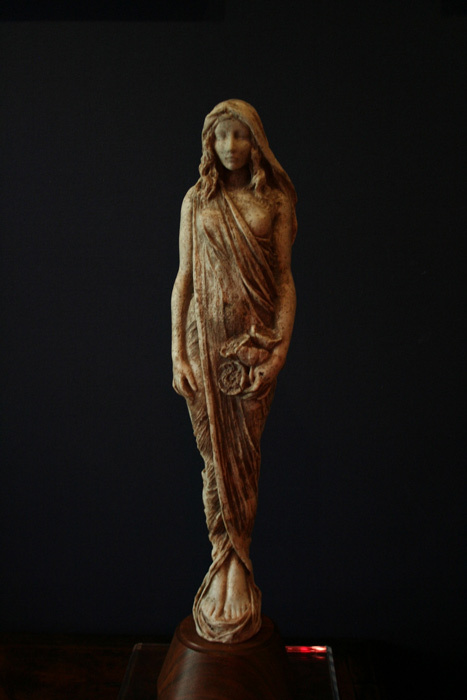 A fine cire perdue figure with sepia patina. 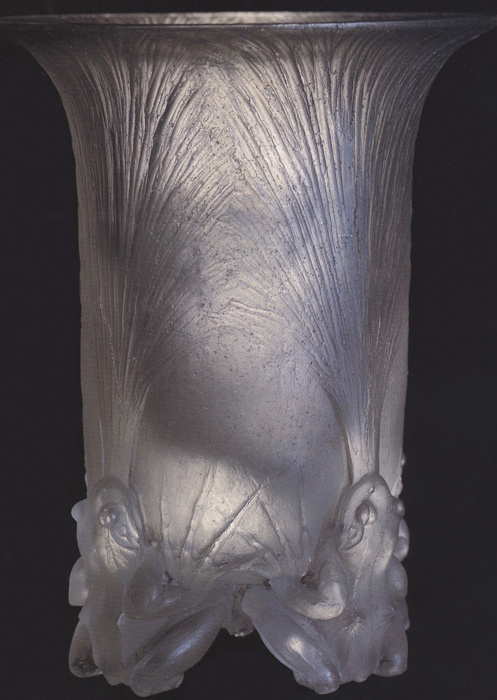 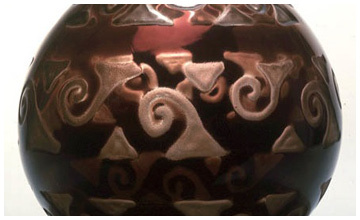 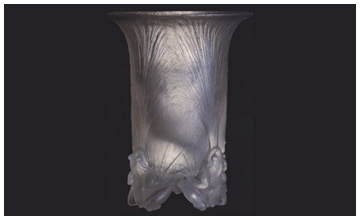 An important and rare vase - moulded with inserted applications. 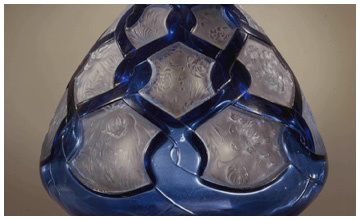 In blue glass with Individual white glass panels applied to recesses. 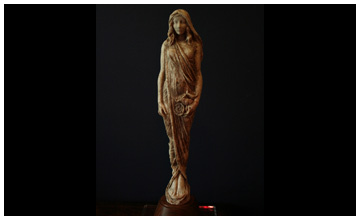 A fine and rare statuette. 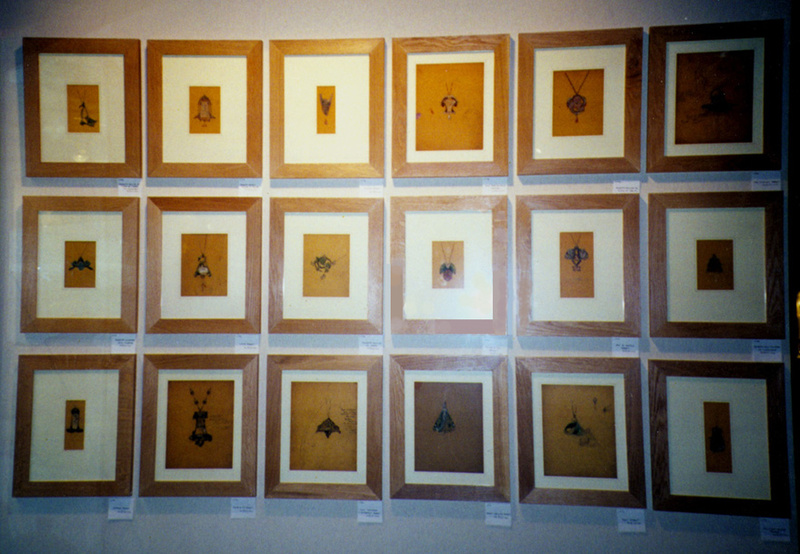 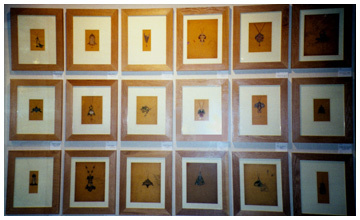 Part of a large collection. 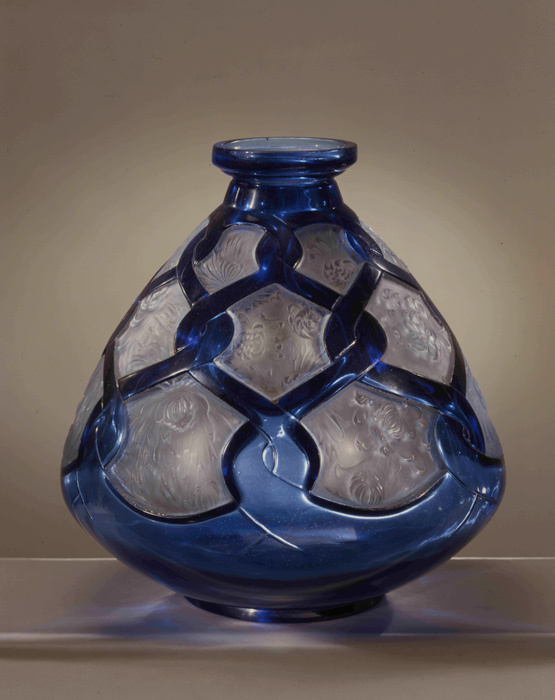 A fine cire perdue glass vase and cover. 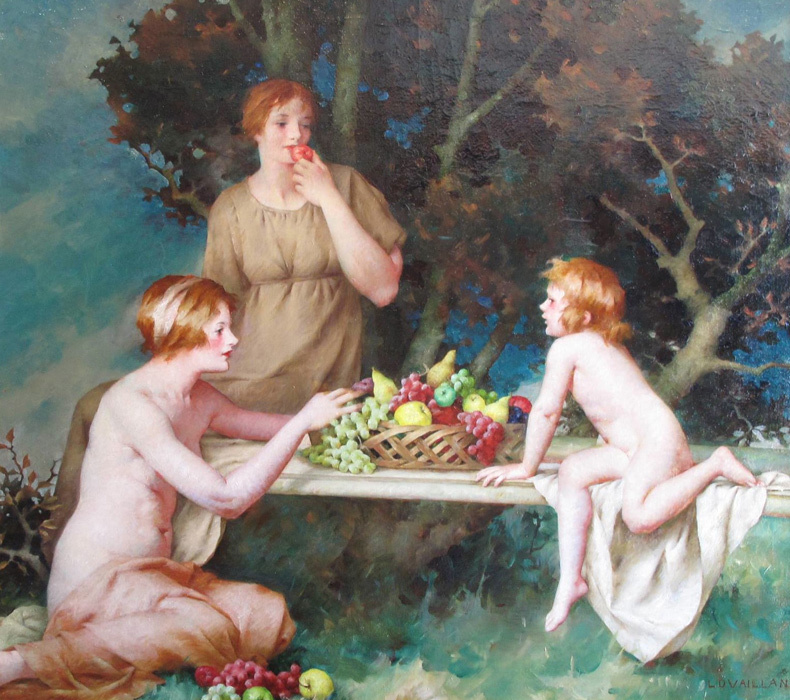 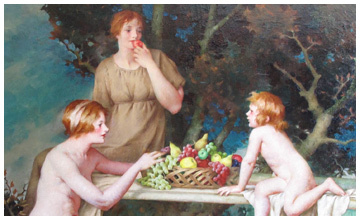 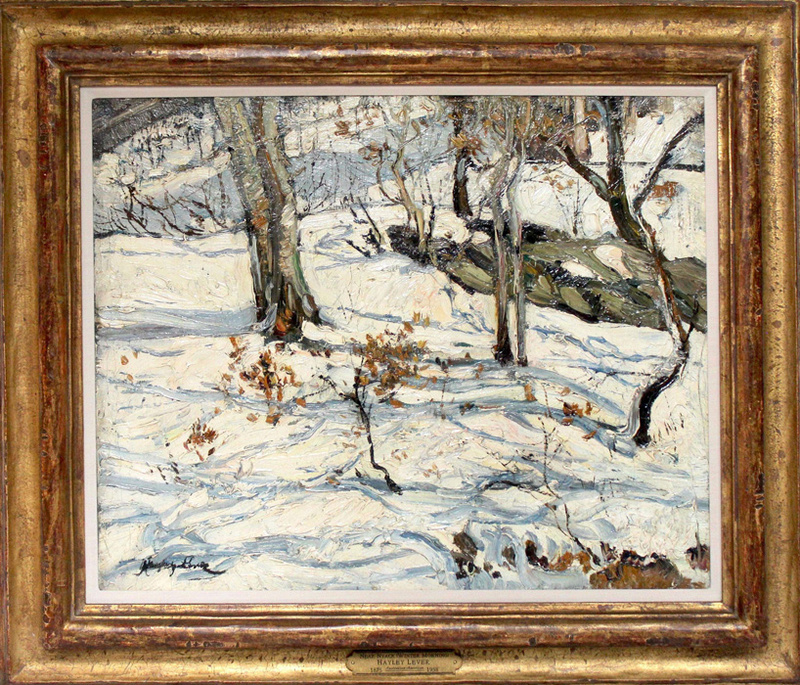 A rare and important Connecticut painting by the artist and muralist best known for the ceilings of the tea house at Kykuit, the Rockefeller Family home in Sleepy Hollow, New York. 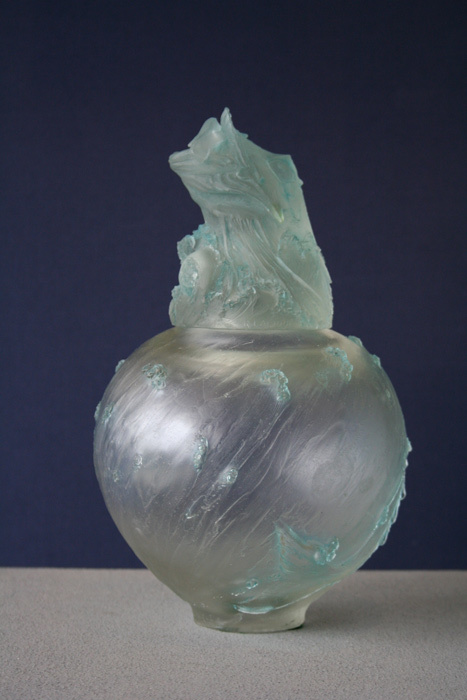 A fine cire perdue glass vase. 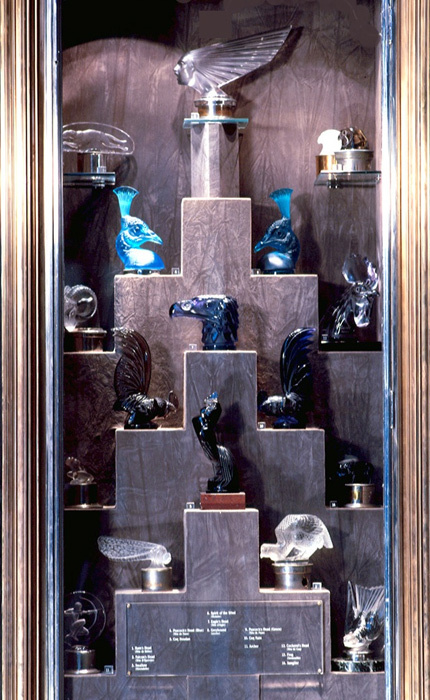 5 plaques. 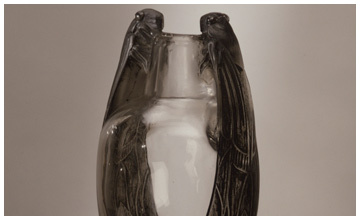 Clear glass with various woods. 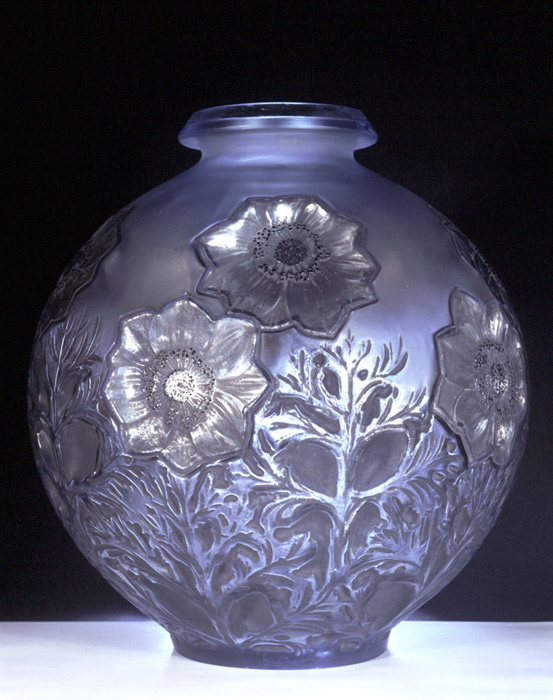 A fine and early commercial glass vase. 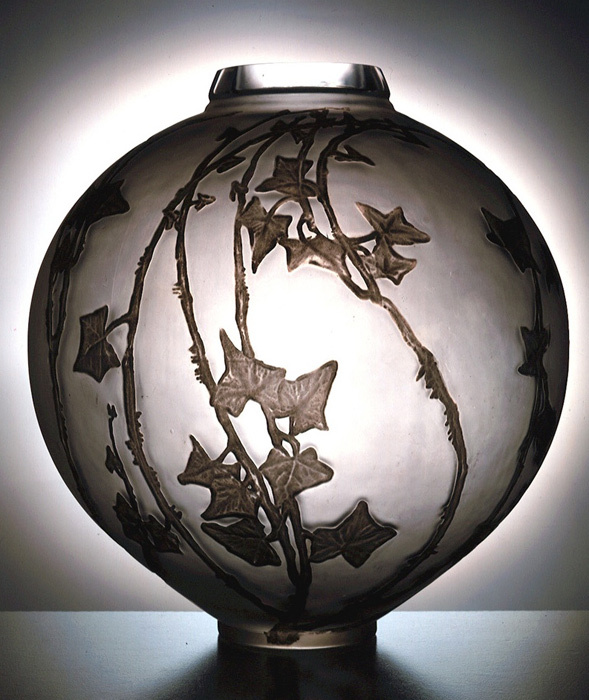 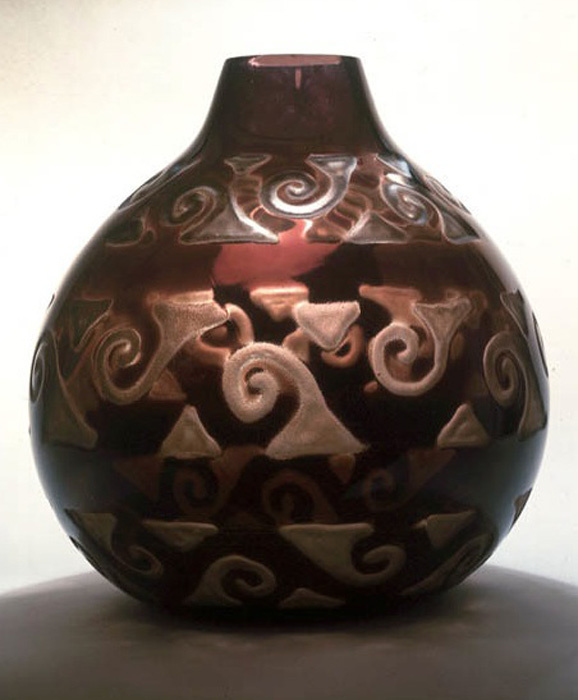 An important and impressive flashed and sand blasted vase. 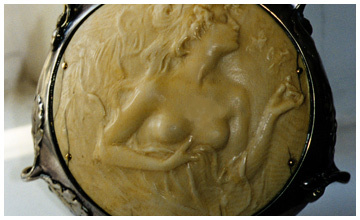 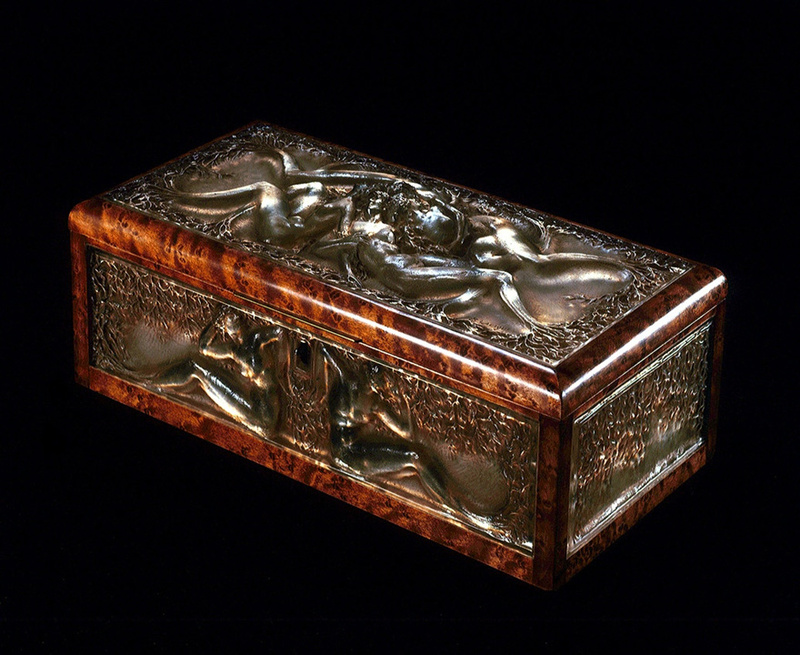 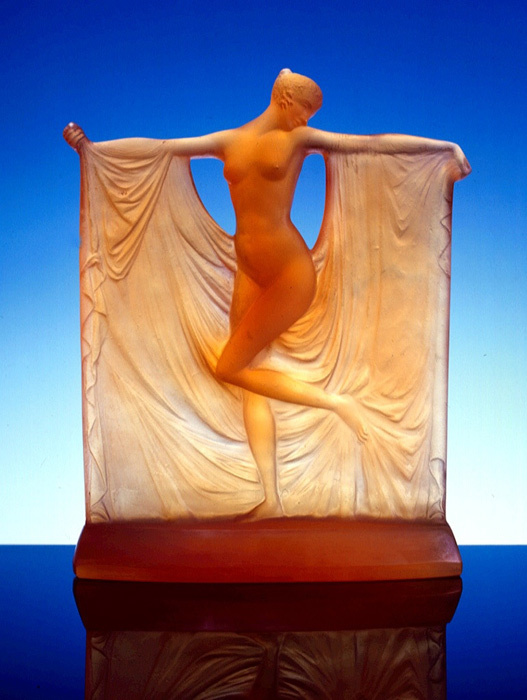 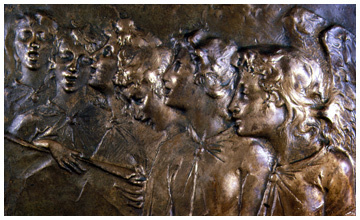 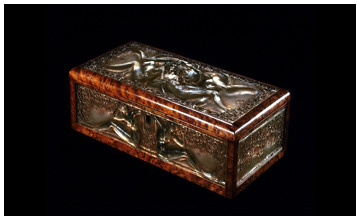 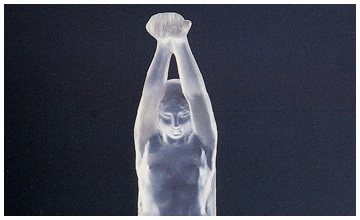 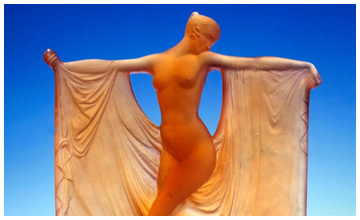 Designed by Suzanne Lalique and produced by the firm of Rene Lalique. 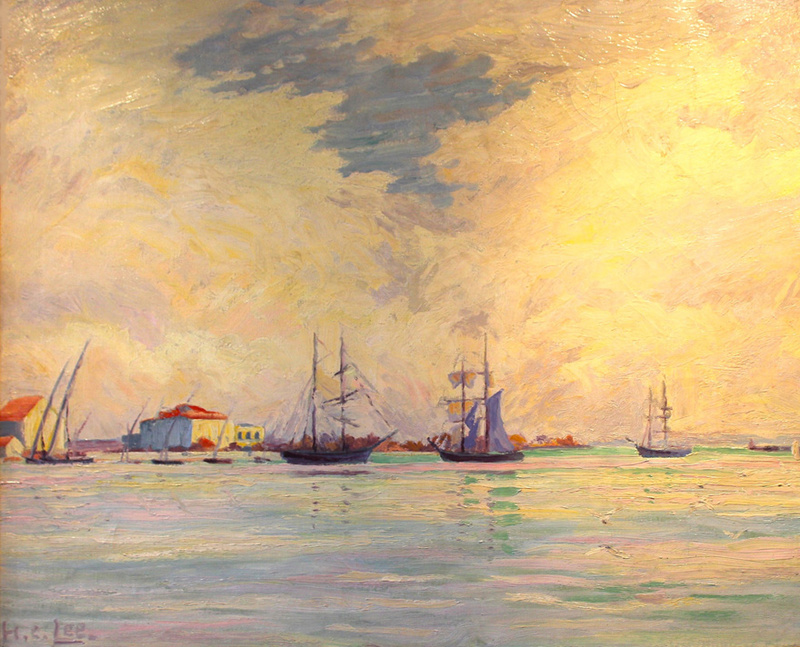 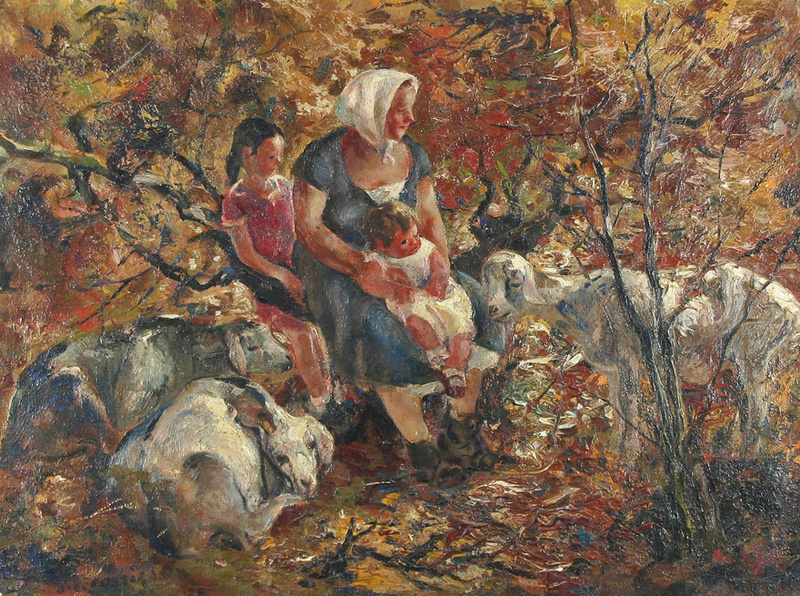 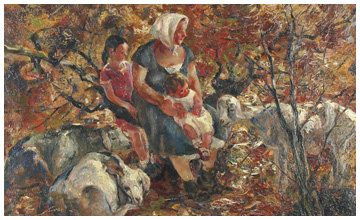 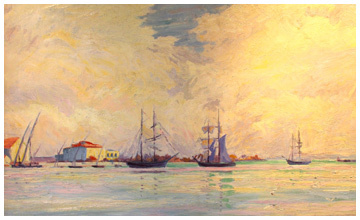 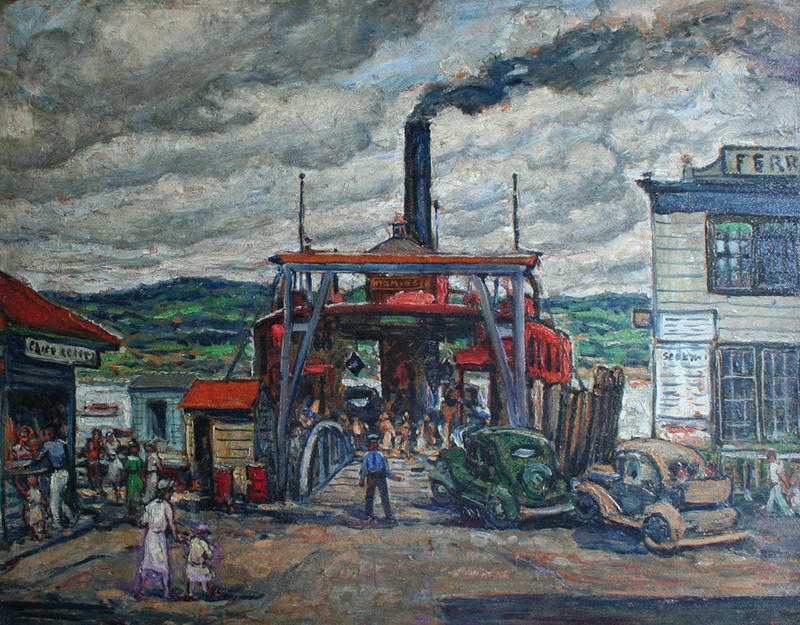 An early and large oil on canvas of local interest. 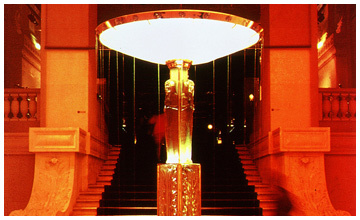 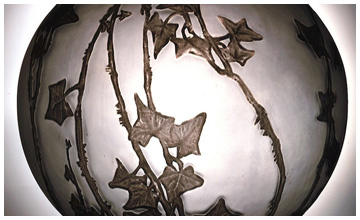 A spectacular fountain in glass, metal and reconstituted stone. 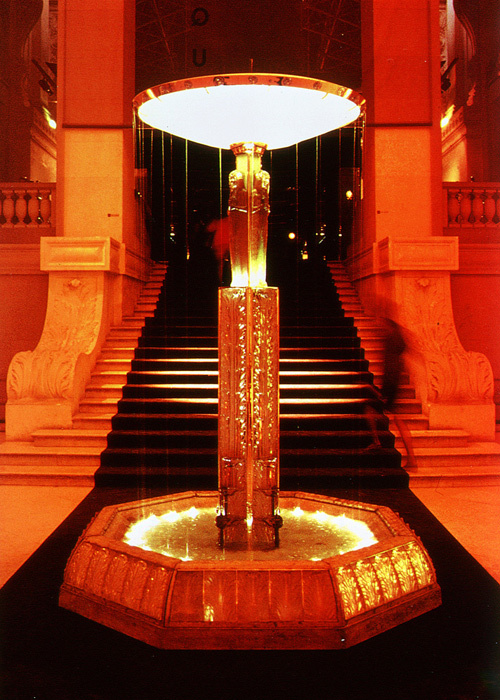 One of a pair from an installation in Paris. 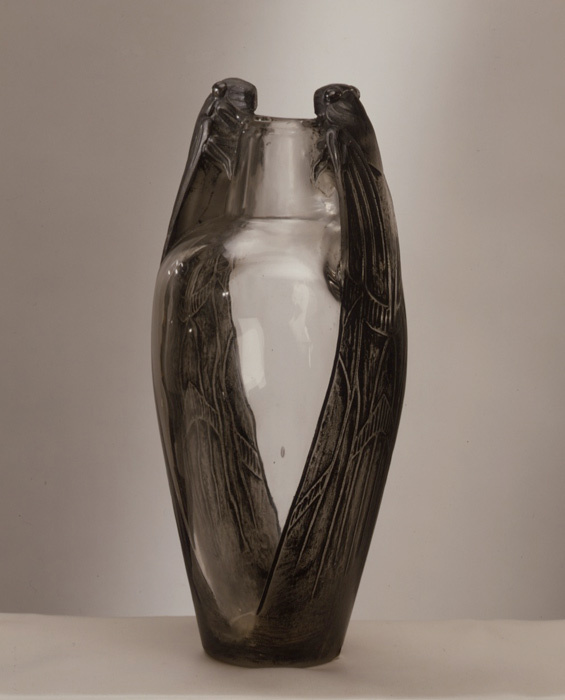 Part of a national motor museum collection formed and sold by Galerie Moderne, London 1974 – 1988.